This building now belongs to Hasta Muerte. In late May, Hasta Muerte Coffee (2701 Fruitvale Ave., Oakland), a worker-owned cooperative that was thrown into the national spotlight for refusing to serve uniformed police officers, launched a crowdfunding campaign to buy its building. 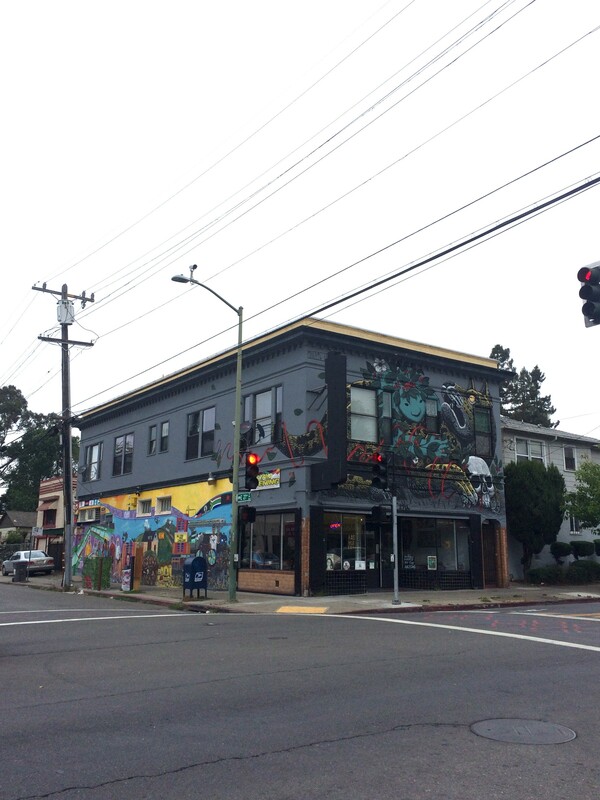 In mid-July, Haste Muerte successfully preserved its space, along with two residential rental units in the building, with the help of the Oakland Community Land Trust. The collective raised more than $50,000 through the crowdfunding platform alone to go toward the purchase. The cafe opened less than a year ago and has come under intense national media coverage and scrutiny. Pro-Trump supporters rallied in front of the cafe, and a few months ago the building went up for sale, prompting fears that a new owner might raise the rent and displace the business. Nonetheless, Haste Muerte continued to serve food and coffee to the community. Technically, the Oakland Community Land Trust owns the building and land, but the goal is to eventually work something out with Hasta Muerte and the tenants. If the collective purchases the building from the Oakland Community Land Trust, the land trust will still own the land for 99 years. While some have claimed that the cafe is an example of gentrification, the deal preserves the two top units as affordable housing for at least 99 years. The land trust and the collective also intend for the downstairs commercial space to serve a community purpose into perpetuity. Even if Hasta Muerte buys the building from the land trust, it will not be able to resell it at market rate. Since the building has been purchased, Haste Muerte is forging ahead to keep the Fruitvale neighborhood cafe as a sanctuary space. Read the Express' prior reporting on the deal here. Editor's Note: This original post, published on July 13, announced the purchase. On July 24, we updated it with more reporting and an interview with Steve King.